Or more like the two of them will fight it out for the left-back position. Klopp has hardly used Milner in midfield and I can't see him starting now. 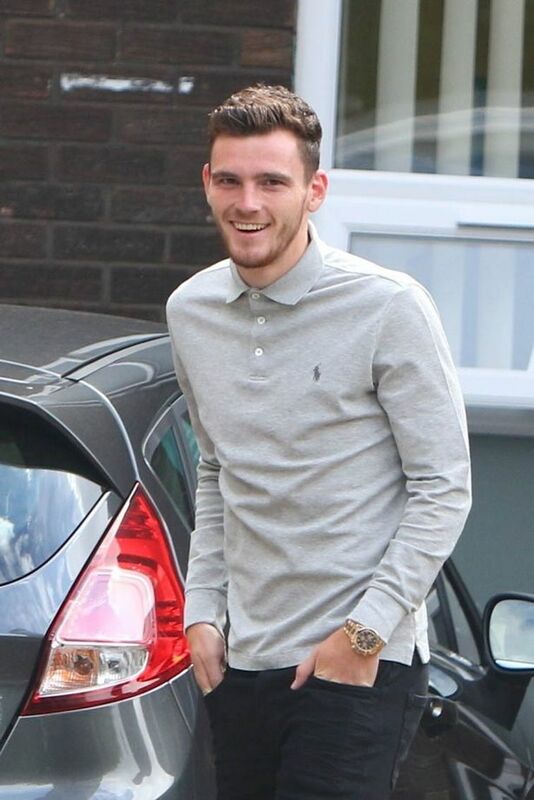 I'll be amazed if Robertson isn't first choice. Me too; unless we sign him and someone else. But a DM is not one of them. Let's hope he turns out to be that shrewd signing that VVD from Celtic and Keita from RBS could have been. on that logic don't you think it would've been a shrewd signing if we picked up straight up from Dundee? that's why those comparisons never work, i mean Celtic's price for us to get VvD wouldn't have been the same as Southampton because we are a far bigger club. Out on the right isn't it? Funnily enough though, even though we can't carry on having him as a 1st choice LB, I really can't see where else he could fit into the team and who he could replace further up the pitch. If he's not at LB he has to be on the bench IMO. Can't say I am interested in Robertson. I think we should be enquiring about Marcel Schmelzer to see if he would cost much. He is 29 but would be well worth paying 20m if we can get a couple of seasons from him. Doubt he would leave Dortmund being their captain though, but who knows... he might want a go in the premier league before hanging his boots up. He is probably one of the best left backs in the world and it goes unnoticed. I think he'll be a boss signing as well. I think he could be a starter for us. He'll be a natural left footer putting in 1st time crosses rather than checking onto his right foot and doing it. Plus this gives options with milner also and no doubt Klopp will be monitoring Flanno aswell. I can remember a few games where he played alongside Henderson and we were absolutely static in midfield, zero creativity, I don't want to EVER see that again, no he's backup LB, DM at a push. The looks on their faces as if they've found Dreamland. Jürgen loves you more than you could know. Don't know a great deal about him tbh but hopefully he can be a solid 8/10 player at LB for many years to come. We've needed one for quite a while now. Since Riise there's been Aurelio (injuries), Warnock, Insua, Dossena, Konchesky, Cissokho, Enrique, Milner and f*ck knows who else. I long for the days of a reliable LB. I don't mind if he doesn't bomb forward, as long as he doesn't let any f**ker have a sniff when playing against him. There was marauding Swiss legend Philip Degen as well but I think he was RB or 'flying' right wing back. For all our weaknesses it feels like we are almost sparkling 'clean' compared with before. Been a while since we signed a proper donkey. Yeah he was a RB. Think the least said about this the better. F**k, well, I'd like to think Robertson will at least be better than that bunch of clowns. I will not have Andrea Dossena's name dragged through the mud. Forever a hero in my eyes. He had a great week to be fair to him. And didn't he enjoy that goal against Manure.